Insulation of your house is a key component to keeping the right temperature in your home. 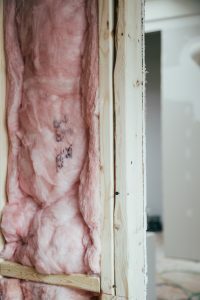 You may already know that how well something will insulate is generally measured in r-value, and that most objects in your home that stand between you and the great outdoors have an r-value assigned to them. Windows are no exception. The r-value of your window is another way of measuring energy-efficiency, but it isn’t the only way. It’s important to understand what r-value is, and how it applies to your windows in order to understand how it will affect your home. R-values measure the thermal resistance per unit of a barrier’s exposed area. The greater the R-value, the greater the resistance, and so the better the thermal insulating properties of the barrier. R-values are used in describing effectiveness of insulating material and in analysis of heat flow across assemblies (such as walls, roofs, and windows) under steady-state conditions. Basically, r-value is a unit of measurement that has a standard applied to it. Much like an inch or a kilometre is a standard around the world, and all inches and kilometres are the same, so is r-value. Whether you’re talking about batt insulation, spray insulation, a door, window or even just wooden boards, the r-value measurement of each is measuring the same thermal resistance. R-value is also additive, meaning that if you combine insulated items, you combine their r-value. For example, if you stack R-20 insulation on top of R-10 insulation, you’ll now have an r-value of 30. Windows also have an r-value. A single pane of glass has almost no insulating value, so it’s r-value would be negligible. It’s also why you rarely see single pane windows, as they’re not very energy efficient. Once you take at least two panes of glass, and put a little gas (like argon) in between them, they now start performing a little better. In fact, if you just do the bare minimum of two panes of glass with argon between and no coatings or treatment on the glass, you’ll still achieve an r-value of around 2. Some of our windows, especially the triple pane windows with two SunStop coatings and argon gas, will reach r-values over 8! Now that’s efficiency! Now, there is a cost that goes along with efficiency. Generally speaking, the more panes of glass you have, and the more coatings used (and how much you use), will raise the price of the window. How much you’ll save on energy needs to be weighed against the original cost of the window itself. We’ll always recommend that you get the most energy efficient windows you can afford, as there’s very little downside other than the initial costs. 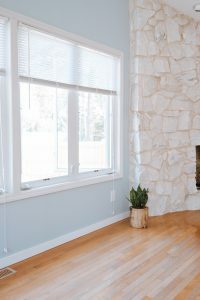 Since quality windows will generally last decades, and with the expectation energy costs will raise over time, investing in windows with a higher r-value today are usually a great investment for saving money in the future. If you have any questions about the r-value of windows, or pricing for adding some energy efficiency to your home, visit our showroom and speak with a door and window expert today!